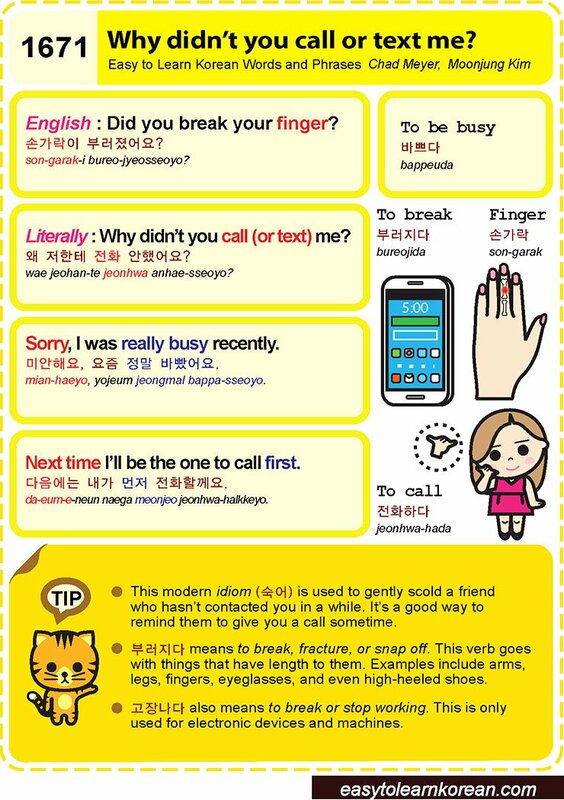 Easy to Learn Korean 1607 – Mind your own business (part one). Posted in Series	| Tagged by yourself, expression, I'll consider your advice., It doesn’t concern you., It doesn’t concern you. 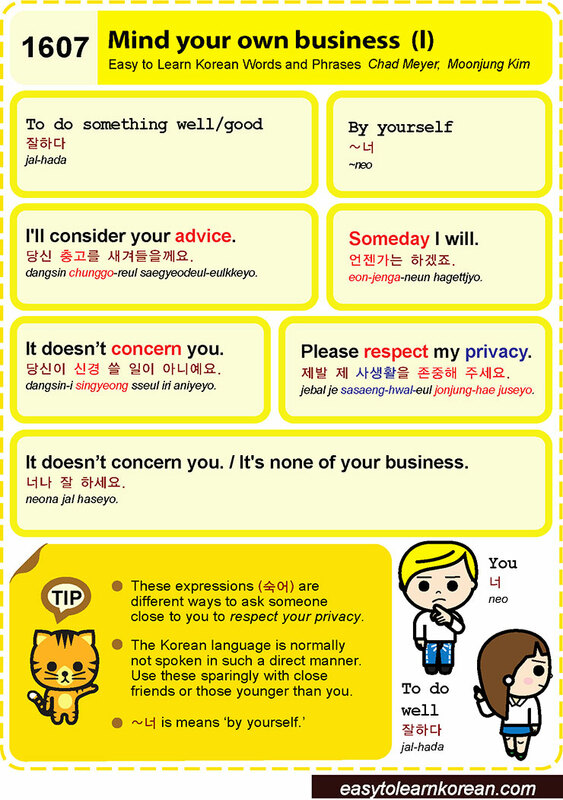 / It's none of your business., mind your own business, Please respect my privacy., respect your privacy, Someday I will., To do something well/good, to do well, you, 나, 너, 너나 잘 하세요., 당신 충고를 새겨들을께요., 당신이 신경 쓸 일이 아니예요., 숙어, 언젠가는 하겠죠., 잘하다, 제발 제 사생활을 존중해 주세요.